Panama City, Florida – On February 1st fifteen hundred bay county 5th-grade students created Stars of HOPE for there community. Painting colorful stars and messages of healing. That will be seen across the community. Boxes of HOPE were also delivered from people around the country who wanted to send messages of hope to Hurricane Michael survivors—including employees of Guardian Life Insurance, PayneWest Insurance, McDonald Smith, Riverstone, Randi Oliva, and David Potter. Painting Stars of HOPE to comfort other disaster survivors gave participants a break from worrying about everything that still has to be done, and let them focus on helping others. The act of doing something for others—of paying it forward—gave them a sense of empowerment and hope for their own lives as well. The students even learned a few new skills, while reflecting on the healing of the community and their chance to help others through art. 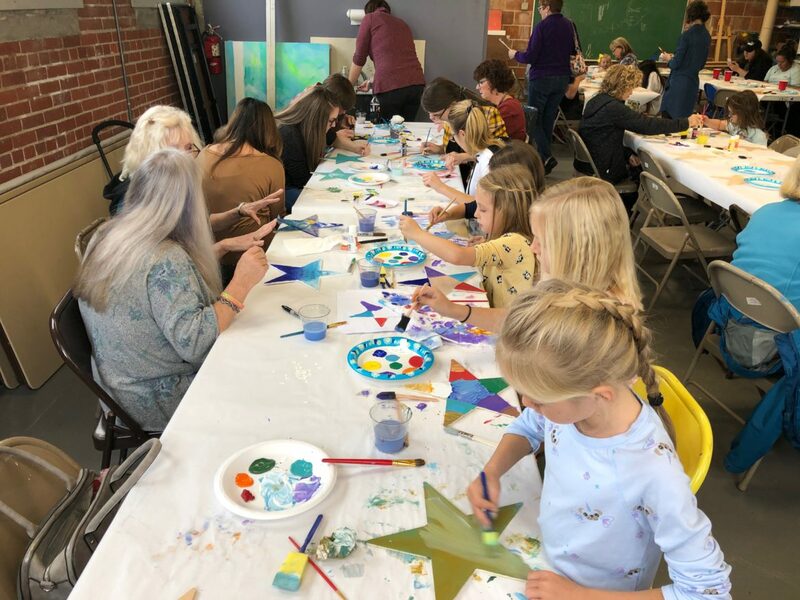 Both the public program and school paints were made possible by the generosity of sponsors who supplied funds to purchase stars, paint, brushes and more. Thank you to Bay Arts Alliance, New York Says Thank You Foundation, American Art Therapy Association, Florida Art Therapy Association, Colart and our National Sponsors KPMG, LLP. Thank you to members of the Florida Art Therapy Association, Florida State University Art Therapy Graduate Program and local Music Therapist, A big thank you to Bonnie Burk who delivered stars to the Hot Yoga studio in Tallahassee in addition to assisting along with her husband in Panama City and Groesbeck Rebuilds America.